Blessed are they who give the flower of their days, and their strength of soul and body to Him; blessed are they who in their youth turn to Him who gave His life for them, and would fain give it to them and implant it in them, that they may live for ever. John Henry Newman was declared Venerable by St. John Paul II (January 20, 1991) and later Blessed by Pope Benedict XVI. Steeped in the Word of God Newman’s sermons place youth before God’s call. In the sermon The Shepherd of Our Souls Newman pronounces blessed the uncalculating wisdom of youth—which gives itself fully to the Lord at the dawn of life. At an age when the future opens wide before the young and the good and beautiful things of the world make claims upon the heart, they are most happy who look beyond the horizon of temporal possibilities to Him who is eternal Truth, Goodness, and Beauty. Rather than a personal initiative it is man’s response to God’s call (“You did not choose me, but I chose you,” Jn 15:16), Newman echoes the Scriptural praise of youthful devotion: “It is good for a man to bear the yoke from his youth” (Lam 3:27). Though Ecclesiastes cautions that “youth and the dawn of life are vanity” (Eccl 11:10), this is because early on we experience everything as a novelty. Life appears as a quasi-endless variety of experiences, and the danger lies in an indiscriminate sampling of them. Perceiving the emptiness of worldly things, the wise youth leaves them behind, untried and forgotten. The weight of Newman’s blessing rests on this blindfolded renunciation and surrender. Those who heed the gospel call to leave behind everything and follow Christ necessarily offer Him the dreams and potentials of the unknown future. Those who give to God the flower of their days place all their hopes squarely in His hands—in an abandonment that really amounts to entrustment. In advance, we waive the right to point our own compass and give Him complete freedom to direct our lives, without knowing where this will land us. Blameworthy love for the world accepts its parameters as the only boundaries of human happiness, allows its values and standards to limit our aspirations. With earth as the sole foundation and sky as the only ceiling, people tend to exploit what is at hand, what satisfies pro tem. The lusts into which fallen people descend all reach for passing, essentially corruptible things, as if they could patch the holes on the worn garment of our humanity. But where the “love of God” or “will of God” may seem nebulous to the worldly, as it cannot be pocketed or otherwise manipulated, St John calls us up higher where love and union are by no means vague. He describes authentic love as a union of wills. As “he who does the will of God abides forever,” so the same God initiates that eternal life in time, implanting within the soul a hunger for His will as for an all-satisfying food. If, in imitation of Christ, this will becomes our daily bread, then everything we see and touch become means to carrying it out. What others may use to take the place of God, devoted Christians cross as bridges to Him. After a lifetime of yeses, each said with a greater intensity and deeper trust than the last, the initial grace of youthful self-giving finally bears this mature fruit: a soul so totally given to God that He is everything to it—seen everywhere, loved in everyone, reflected in all that is pure and good. Whatever our age, we might ask ourselves if our present generosity, the depth of our self-gift, is such that it can realistically be expected to produce these results. No one is expected to know beforehand how much God will ask of them; none can guess where the initial self-surrender will lead, nor what kind of saint will result. But are we walking that narrow path? 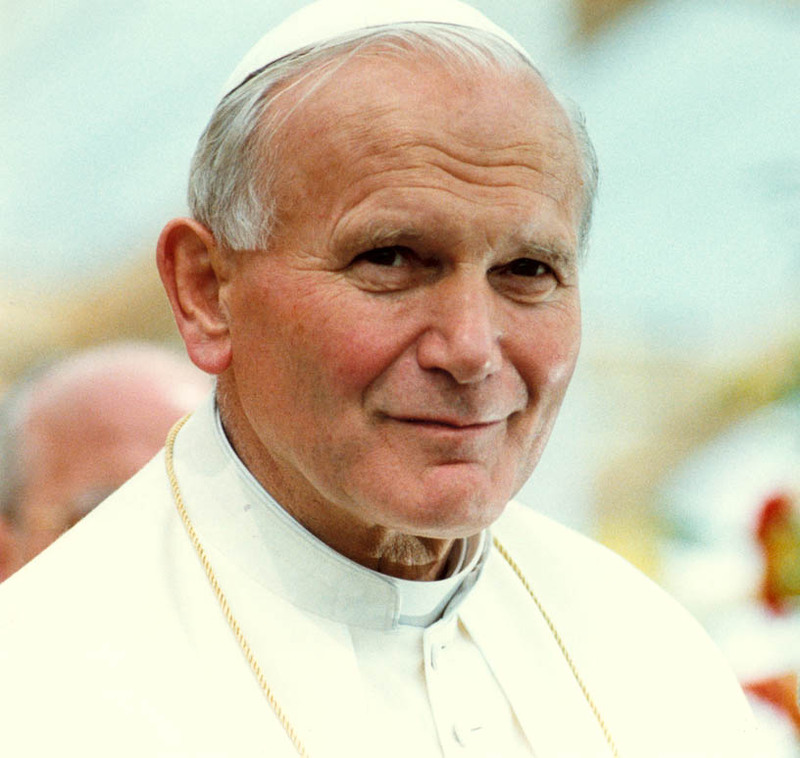 John Paul II, Apostolic Letter Dilecti Amici, March 31, 1985.